Home » LibraryReads » THE STOLEN MARRIAGE = October 2017 LibraryReads pick! THE STOLEN MARRIAGE = October 2017 LibraryReads pick! HUZZAH! 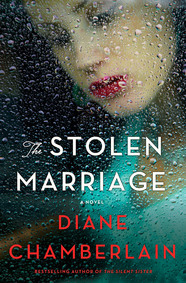 THE STOLEN MARRIAGE by Diane Chamberlain is an October 2017 LibraryReads pick!